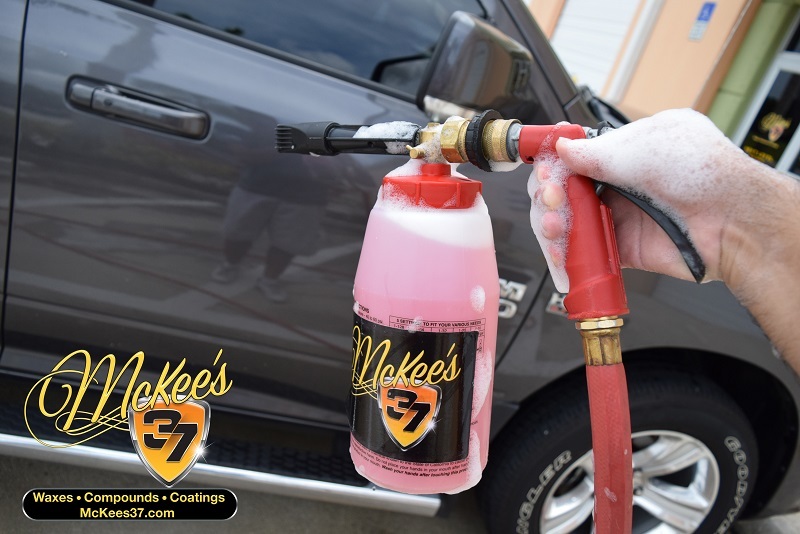 When I first got my hands on a bottle of McKee's 37 Sio2 Auto Wash I was very anxious/excited to try it! 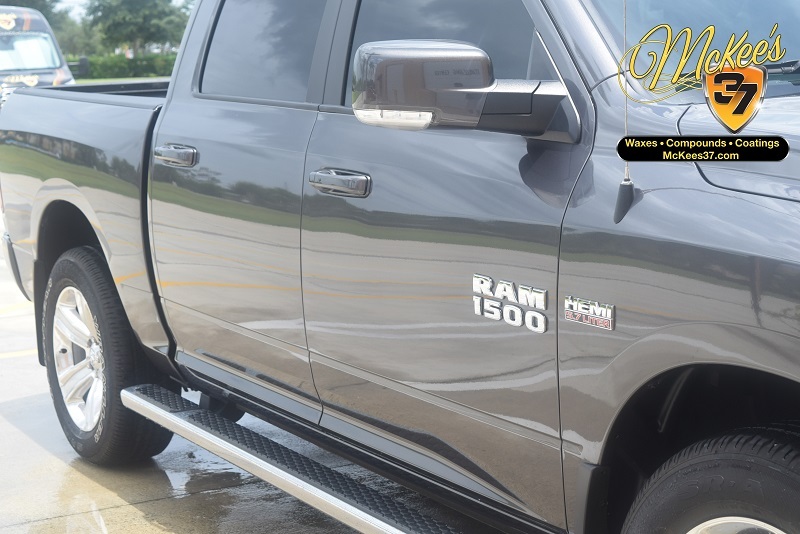 The next day A client dropped off his Dodge Ram 1500 to get detailed. This was the perfect truck to test the new Sio2 Auto Wash. 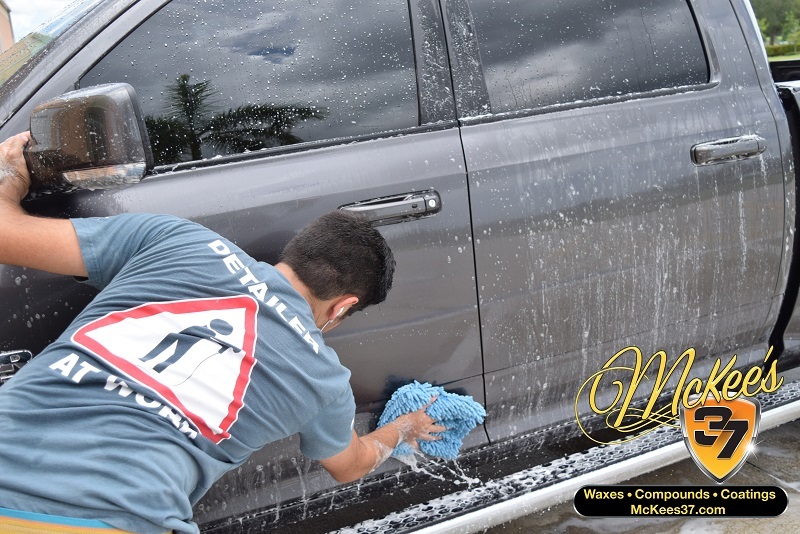 Washing a truck this size in the hot Florida sun is a difficult task, It is very challenging to leave a water spot free surface do to the size of the truck. By the time you wash one side, The sun has already dried up the soap and water on the other side. This kind of has a dog chasing his tail effect. Sio2 Auto Wash is a shampoo specifically designed to eliminate the fear of water spots. So it is safe to say that washing a truck this size mid-day in the direct Florida sunlight is the ultimate test, So Let's GET STARTED! 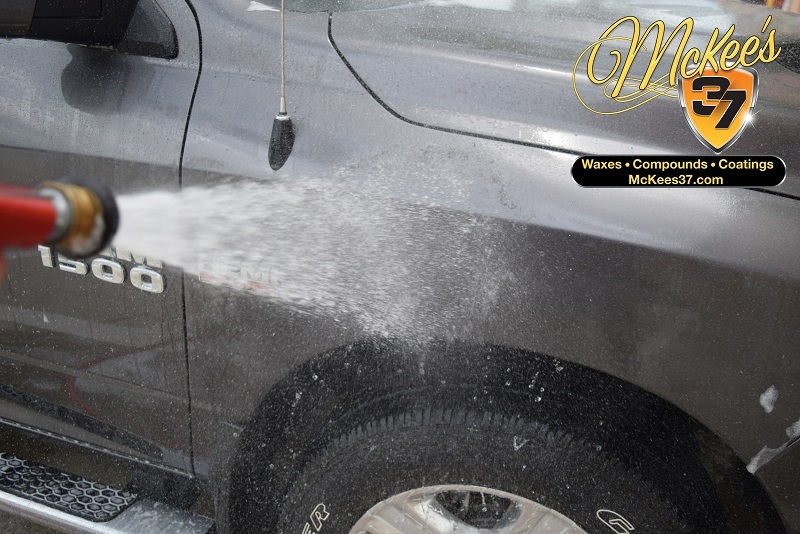 We are going to be adding some Sio2 Auto Wash in our Foam Gun, To SOAK the entire truck in the Sio2 Auto Wash. Note: Notice how viscous the solution is, It is thick and smells like delicious watermelons! This is one of the best smelling shampoo's I have ever had the pleasure of using. A few shakes and the Sio2 Auto Wash takes over the foam gun reservoir. Sio2 Auto Wash smells amazing when foaming down the vehicle. After foaming the entire truck down (I was in no rush) I added some Sio2 Auto Wash in my wash bucket. 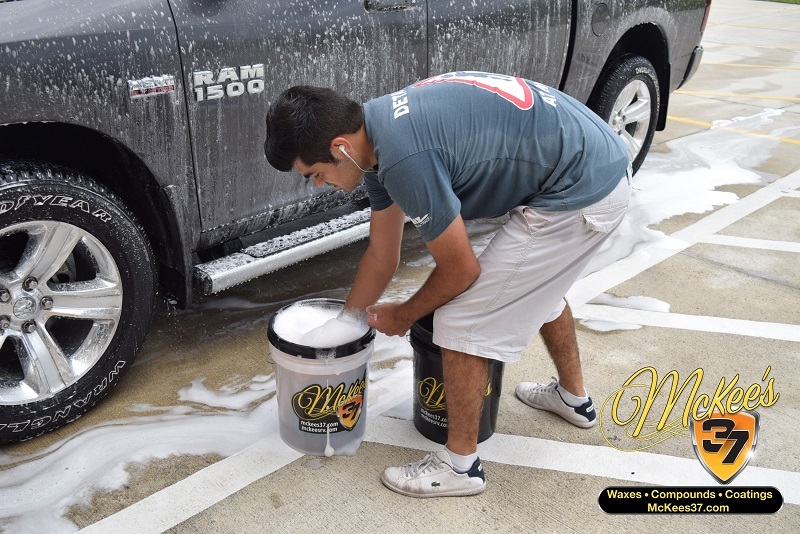 The Sio2 Auto Wash transforms the water into a super slick and slippery solution, Lubrication is key when washing to prevent dragging abrasive dirt particles on your paint! Did I mention how amazing this stuff smells? At this point, I never rinsed off any soap solution off the truck. I took my time and went around the vehicle. Here is a picture of the solution drying on the paint, Still no rinsing at this point. The majority of soaps on the market at some point during the wash lose their "suds" However take a look at the Sio2 suds, The foam held up through out the entire wash process. Ok, It is finally time to rinse. 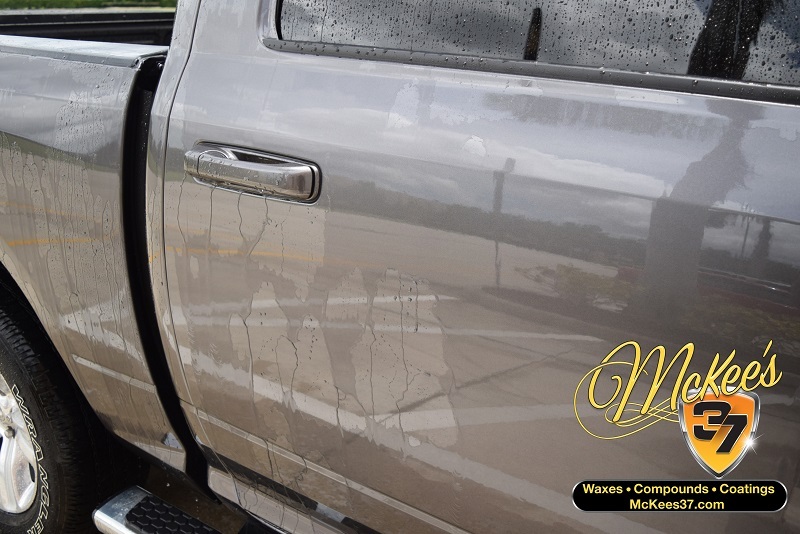 This truck had 0 protection on it, No wax or sealant, After rinsing off the water slowly started to sheet off the paint.After the final rinse, I seen 0 water spots/marks on the paint, I Sprayed the truck with Hydro Blue and dried with a drying towel. Not only did I have no water marks/spots anywhere on the truck, The truck looked bright and soaking wet. 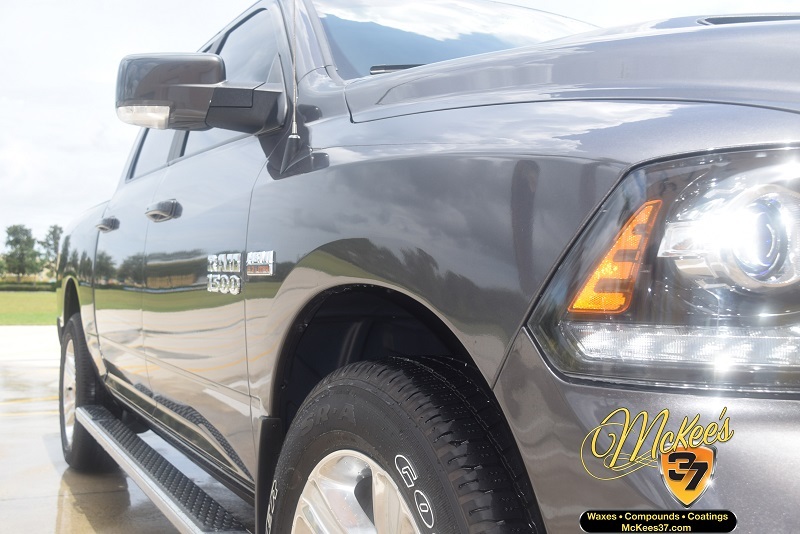 As a professional detailer it is still difficult for me to wash a truck this size in direct sunlight and get no water spots, So Sio2 Auto Wash really does eliminate the fear of water spots/marks. You do not need a foam gun to use Sio2 Auto Wash, It works excellent as a hand/bucket wash! 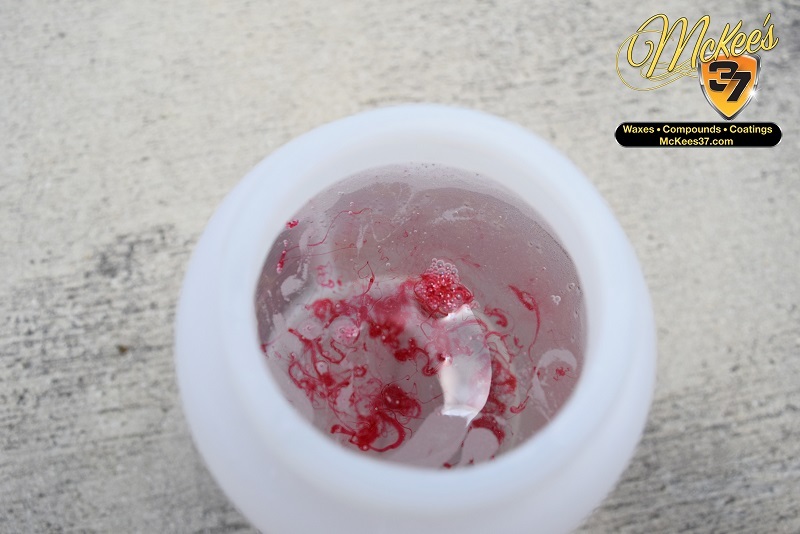 Sio2 Auto Wash is VERY concentrated, The soap is a very thick viscous liquid. 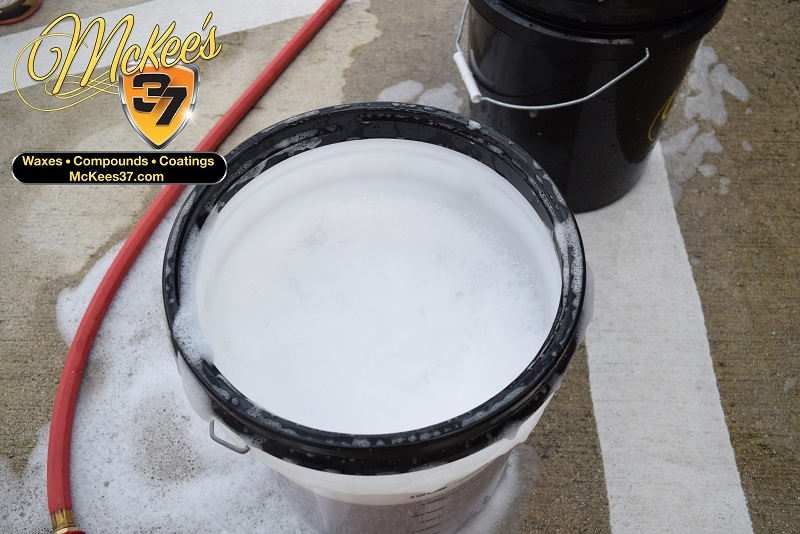 If you use 4-5 Gal of water in your bucket you will only need 1-2 Oz of soap. If you only use 2-3 Gal you can add about 1oz. 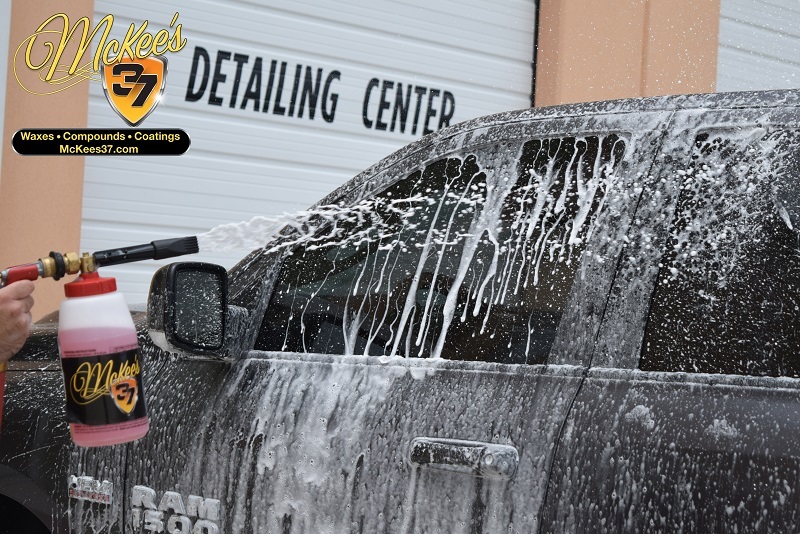 Other soaps on the market usually require about 1oz per gallon, Sio2 Auto Wash is so concentrated it makes it a excellent value, Giving you the most bang for your buck. One of the things it excels at is withstanding its foam/suds while washing. You are going to love it, Thank's for reading! Eric8/24/2017Curious, do you need to use the shampoo if the car only has a few miles on it? I assume yes. Joe8/24/2017If you have a brand new car the key is to protect it right from the start. 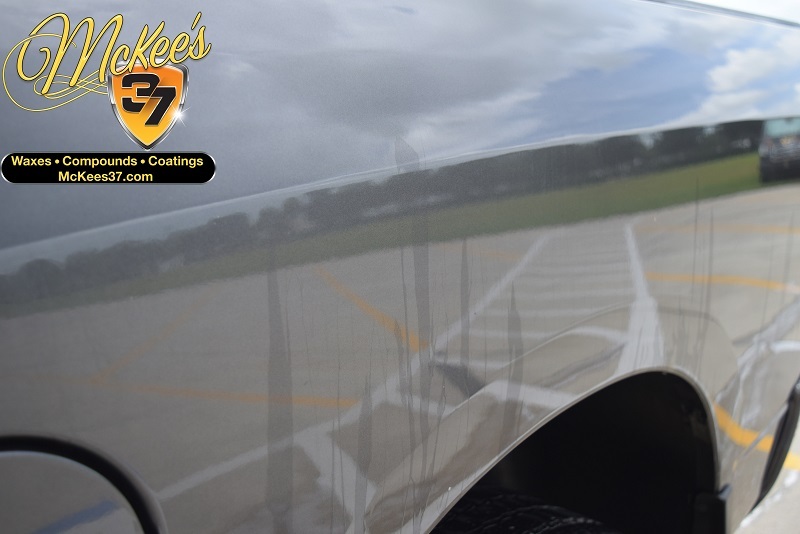 So what I would do is look into McKee's 37 Paint Coating, or give it a nice coat of Hi-Def Paint Sealant. 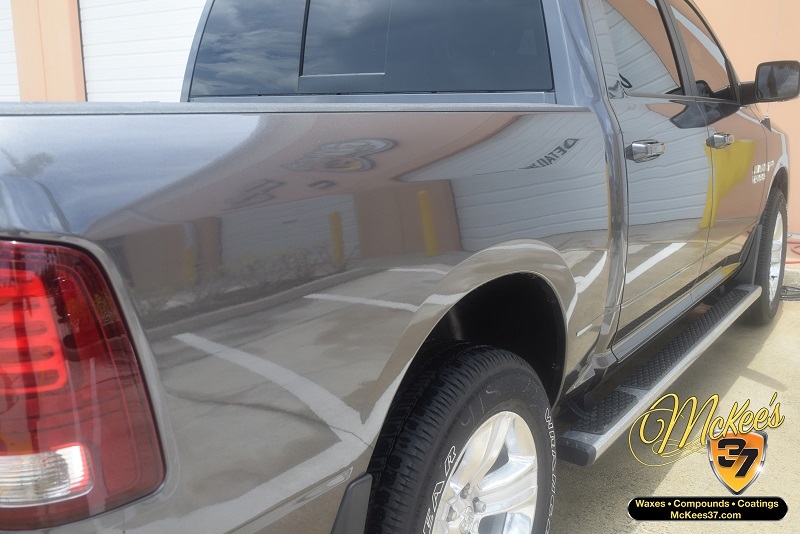 After you apply your protection, Sio2 Auto Wash is a fantastic choice to maintain your flawless finish. 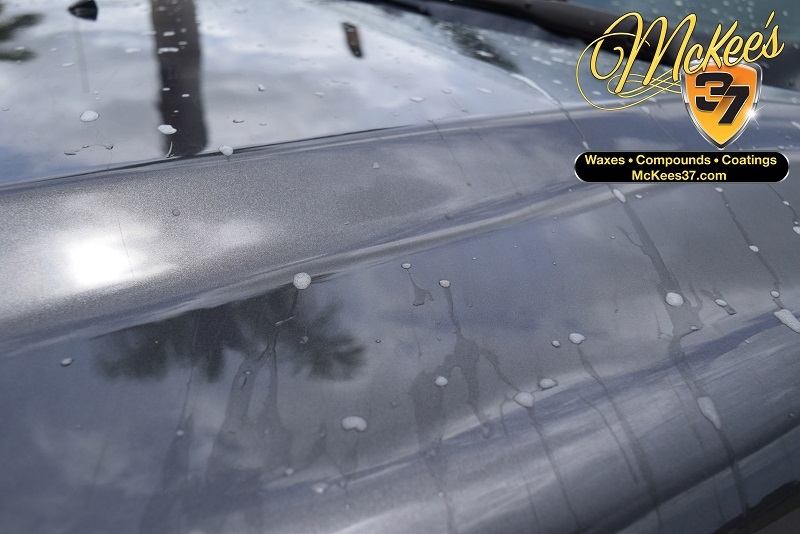 With every wash you will be enhancing your protection/gloss/slickness. Rex8/24/2017Will this work equally well with wax or sealant on the paint or is it for unprotected paint only? Joe8/24/2017Sio2 Auto Wash can be used on protected or un-protected paint! 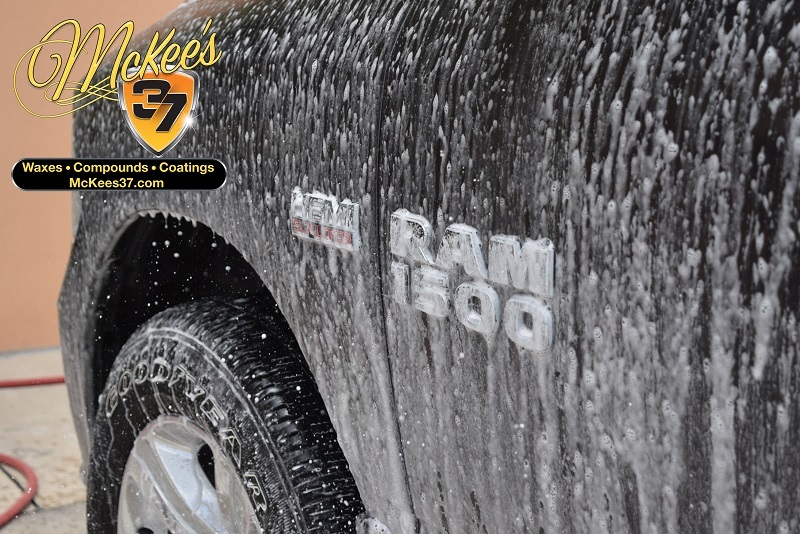 It the ideal shampoo to use to maintain your favorite McKee's 37 Sealant/Wax/Coating. Ronnie8/24/2017HOW MANY OUNCES OF SIO2 AUTO WASH DO I PUT IN THE WASH BUCKET & HOW MANY DO I PUT IN A FOAM CANNON.I JUST WANT TO KNOW WHAT WILL WORK BEST. I HAVE PURCHASED BOTH THE AUTO WASH AND THE HYDRO BLUE.THANK'S, RONNIE. Joe8/24/2017Hey Ronnie! The combo of Hydro Blue and Sio2 Auto Wash are a match made in heaven, You are going to love the performance and the way it makes your car look! Gilbert8/24/2017How much Sio2 do you use in the foam gun and how much should be added to a gallon in the bucket? Joe8/24/2017Sio2 Auto Wash is a very conentrated shampoo. You only need to add 2-3 Oz's in your foam gun. For your wash bucket add 2-3 Ozs if it's 5 gal . If you are using a smaller bucket you would want to use about 2 ozs. 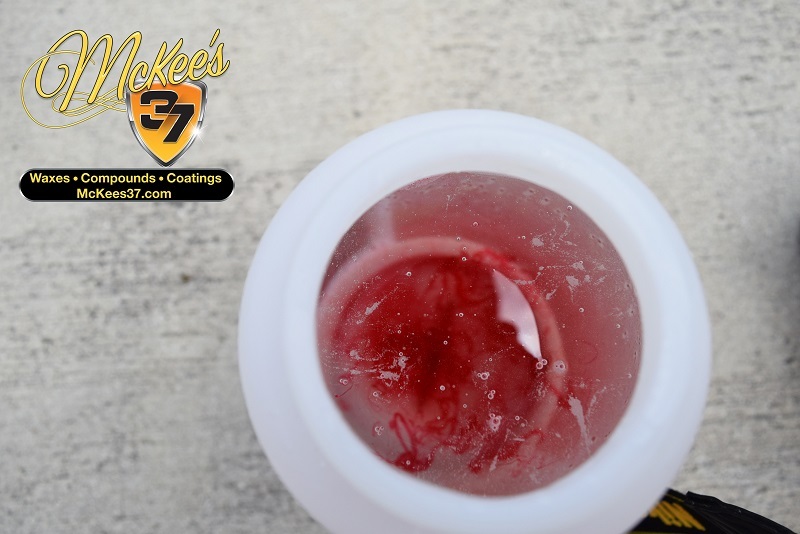 Jade9/4/2017This time i bought Mckees 37 coating product Hydro Blue Sio2 Coating Can i know how long this product will last ? and also how many percent Sio2 is in this product ? Thank you So much ! However Hydro Blue is so simple to use and apply even if you start to see a fallback in performance 3-4 Months from now it is as simple as spray on and rinse off. As far as the Sio2 %, Hydro Blue features the highest Sio2 content that you can safely spray through a bottle!